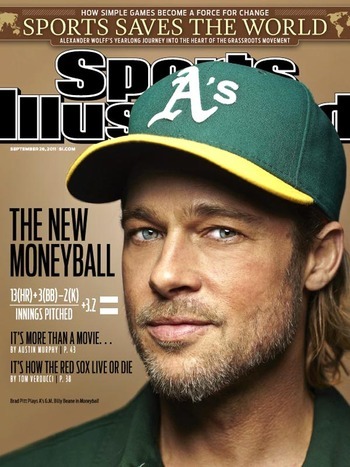 Brad Pitt as Billy Beane in MoneyballBeing born and raised in Oakland, I've been an A's fan since I was a little kid. So when I watched the movie Moneyball last year, lots of memories, both thrilling and painful, were brought back to life on the big screen. I was at the game where Scott Hatteberg hit the game winning HR to give the A's a record-setting 20 consecutive wins. I was also at the game where Jeter made that incredible tag at home plate that was probably the turning point of that series, which the A's eventually lost in 5 games to the Yankees. What the A's were able to achieve during that era was absolutely incredible. A bunch of kids with a team salary that was 20-25% that of the mighty New York Yankees, and yet they competed and made the playoffs 4 straight years (2000-2003 seasons). In today's age of Facebook, iPhones, fitness tracking devices, etc., data is ubiquitous, and companies are trying hard to make sense of this data. For example at my company, SumAll (shameless plug), we have built an app that takes data from various verticals (e.g. 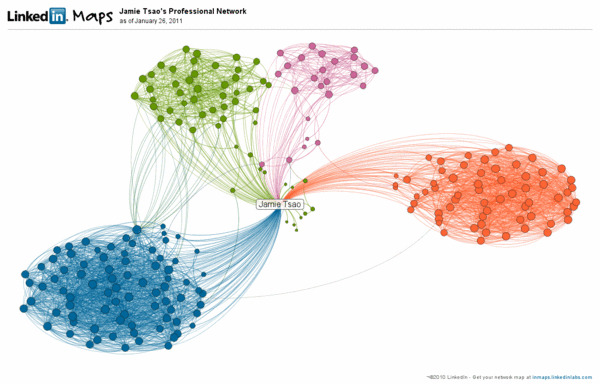 shopping carts, web traffic, payments, social, etc.) and combines them into a single, clean interface, allowing customers to better understand trends and patterns in their business. The A's were able to overcome their financial disadvantage by being smart and examining data. We think our customers can benefit the same way. Fast forward to 2012. Many experts predicted that the Oakland A's would lose over 100 games this year. Why? Because the team let go of 3 top pitchers from last year, 1) Gio Gonzalez, 21 game winner and Cy Young favorite, 2) Trevor Cahill, and 3) All-star closer Andrew Bailey. This year's team is a bunch of no-name kids with the LOWEST PAYROLL IN THE AMERICAN LEAGUE. Sound familiar? Yesterday, on Oct 3rd, 2012, the final game of the season, the A's completed an improbable run to win the American League West division by sweeping the Texas Rangers, a team that has represented the AL in the World Series the last two years. Incredible. Regardless of what happens in the playoffs, the fairytale season of the 2012 Oakland Athletics is already worthy of a Moneyball sequel. The Oakland A's had an opening day payroll of $55,372,500, the lowest in the American League. The New York Yankees had an opening day payroll of $197,962,289, the highest in the AL. Dan Szymborski's preseason projections had given the A's a 1.4 percent chance of making the playoffs and 0.4 percent chance of winning the division. Las Vegas oddsmakers had the A's at 100-1 odds at the All-Star break to win their division. On June 30th, the A's were 37-42 and 13 games behind the Texas Rangers. With 9 games left, the Rangers were 5 games ahead of the A's. The only time the A's were in sole possession of 1st place in the division was after winning the final game. The A's lead the league with 14 walk-off wins. After losing the aforementioned 3 top pitchers, the A's went on to lose 4 more pitchers (McCarthy, Anderson, Braden, and Colon), leaving them with the current starting rotation of ALL ROOKIES. Amazing.